This. It made my whole trip. 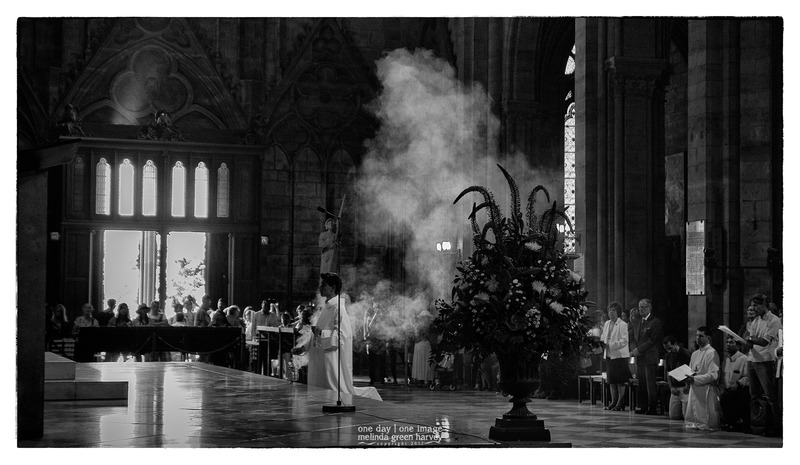 Posted on July 18, 2017, in Photography and tagged 365 photo project, black and white photography, cathedral, church, France, incense, learning to see, Leica, Mass, melinda green harvey, monochrome, Notre Dame, one day one image, Paris, photo a day, photography, postaday, thoughtful seeing. Bookmark the permalink. 2 Comments. Thanks, John. I almost got lightheaded when I realized what I was seeing, and remembered that I was holding a camera!